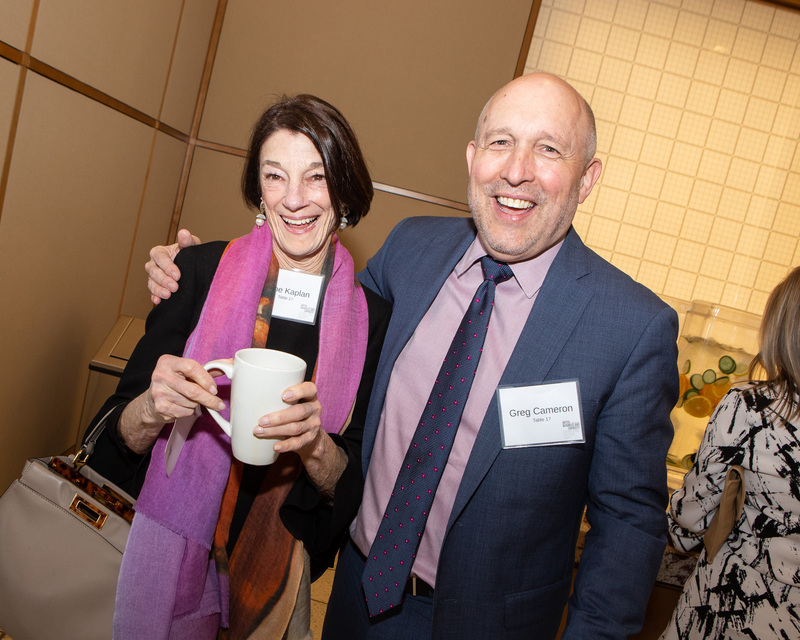 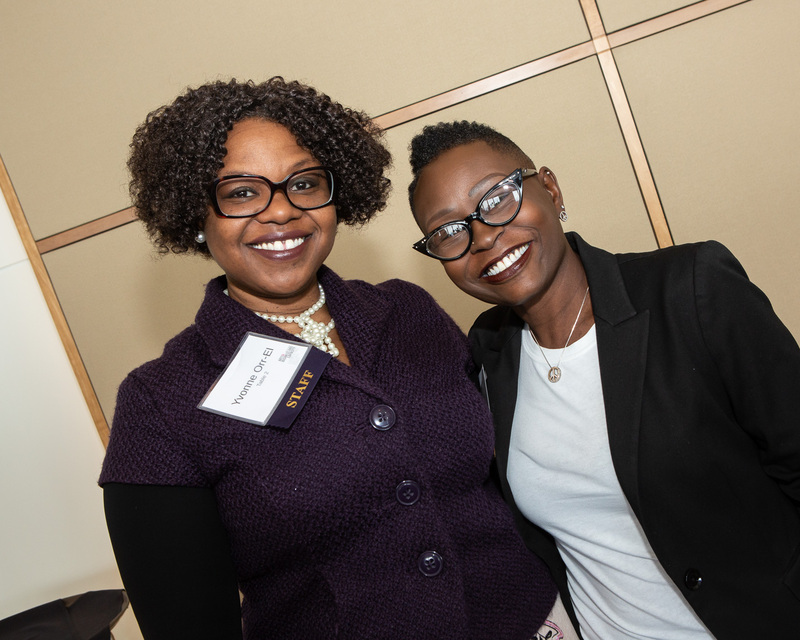 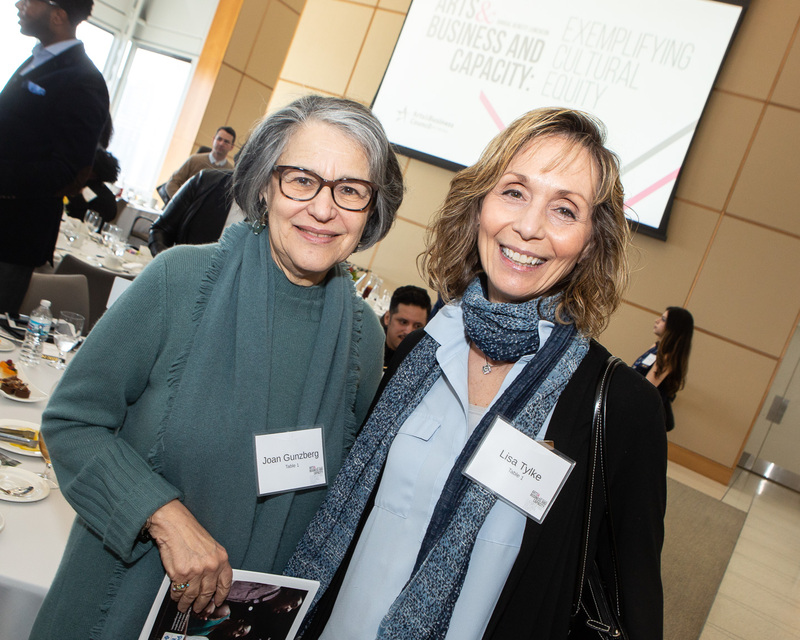 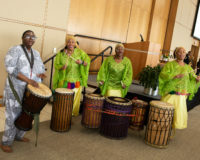 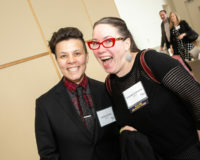 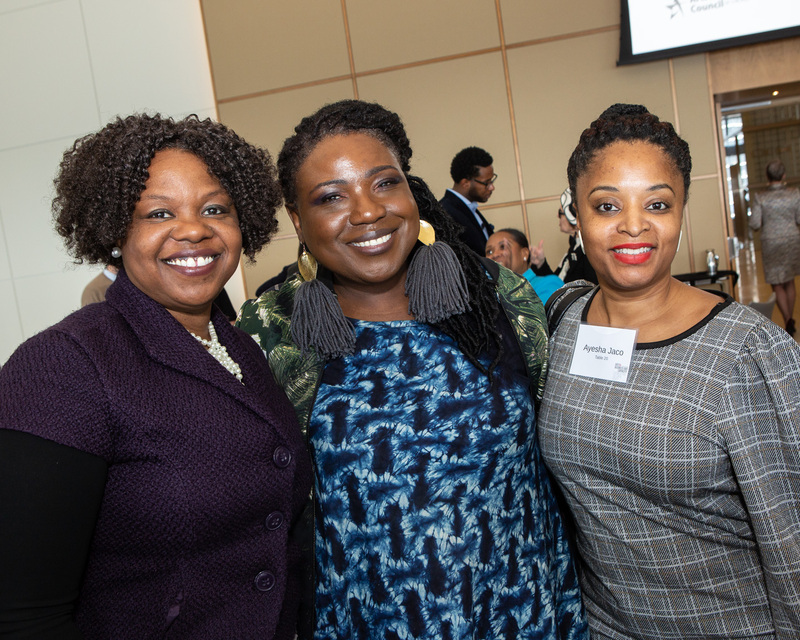 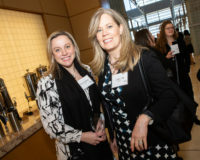 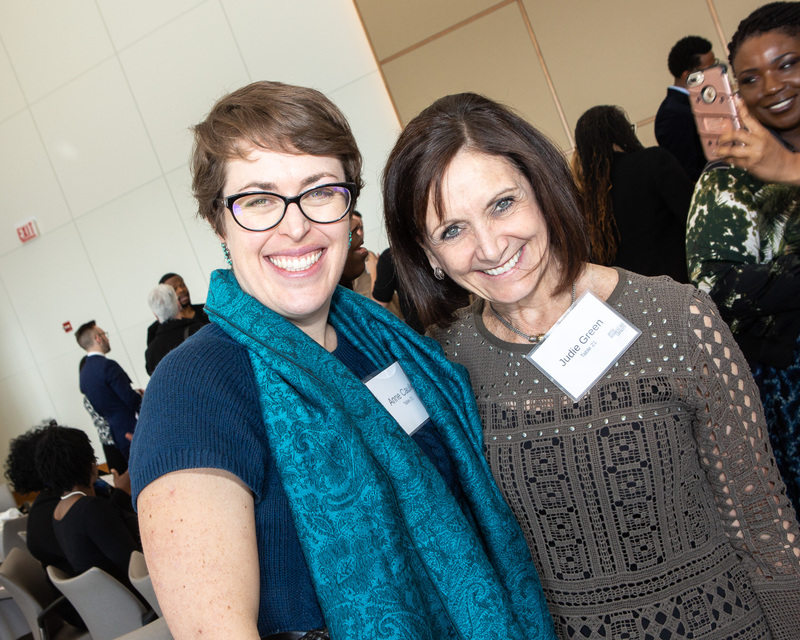 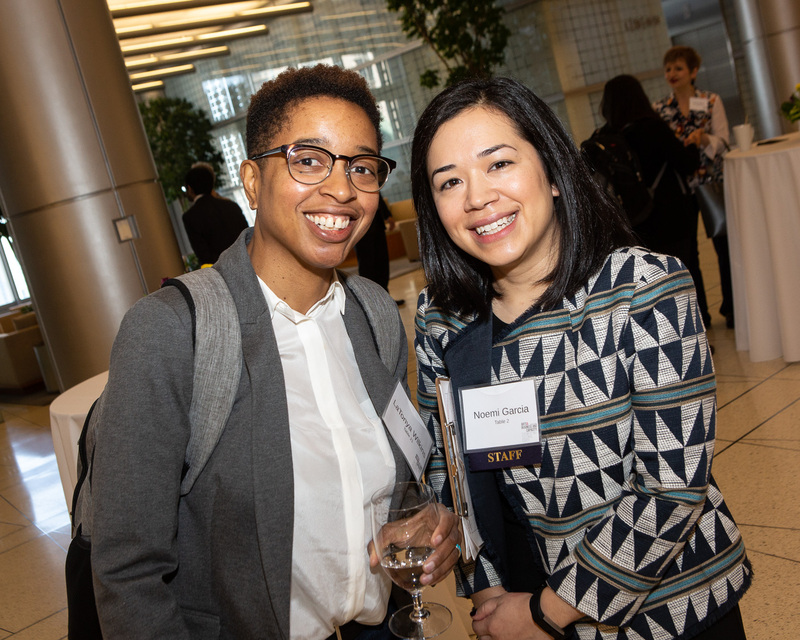 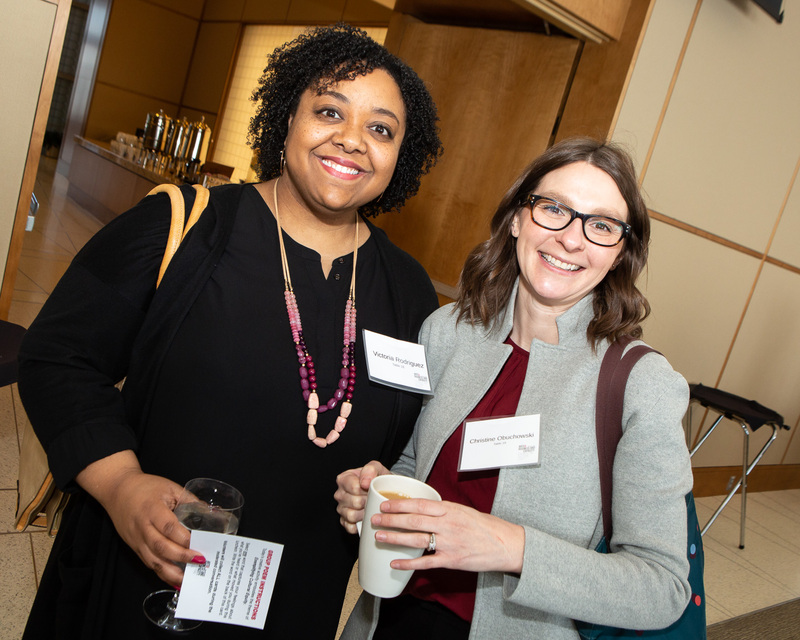 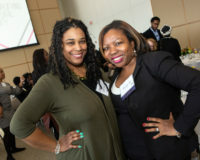 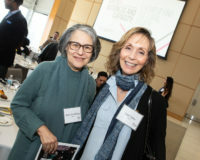 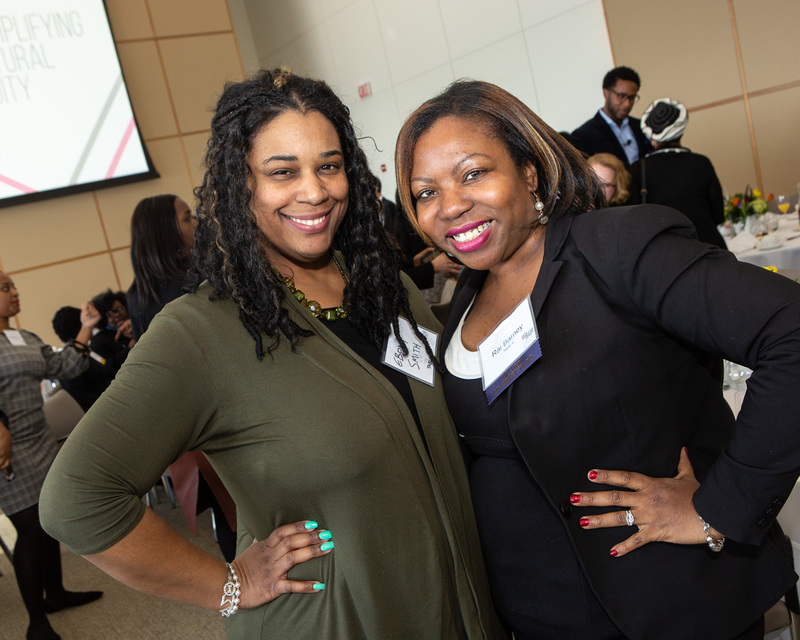 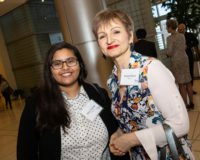 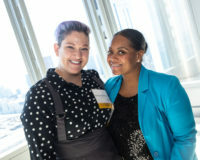 More than 200 guests from Chicago’s arts, business, and cultural communities gathered on Tuesday, March 12, 2019, for Arts & Business and Capacity: Exemplifying Cultural Equity. 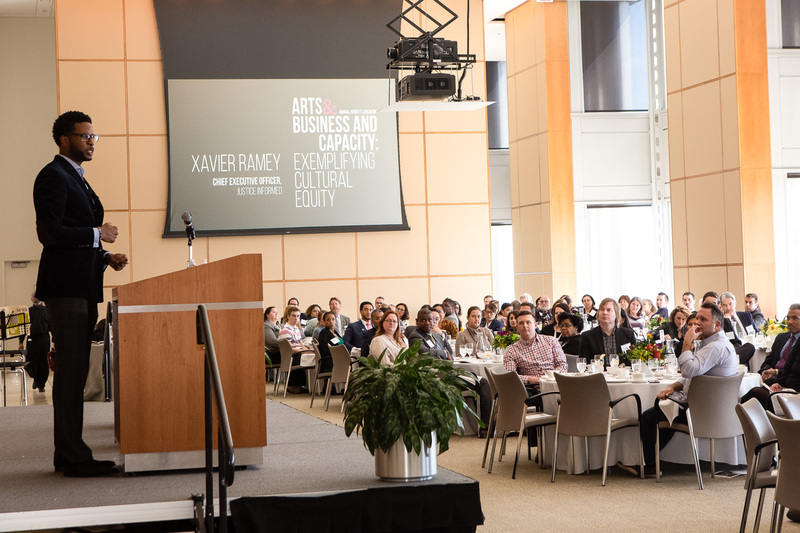 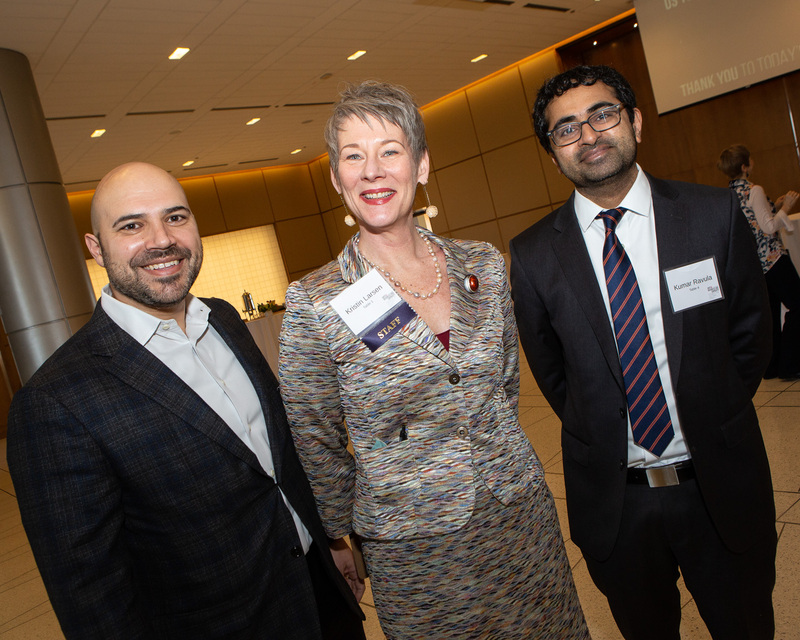 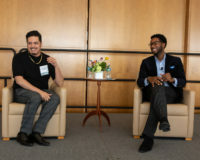 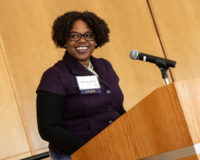 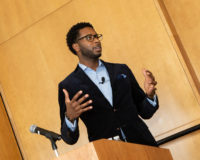 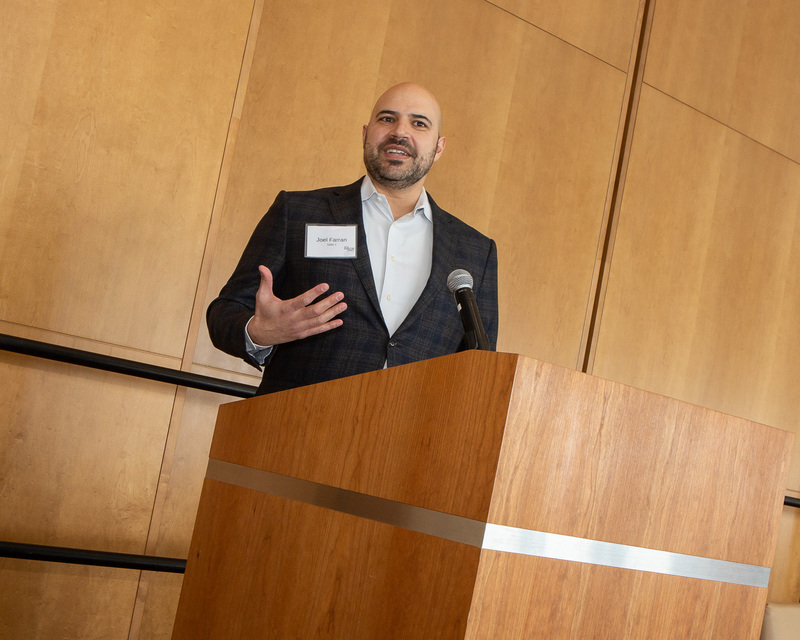 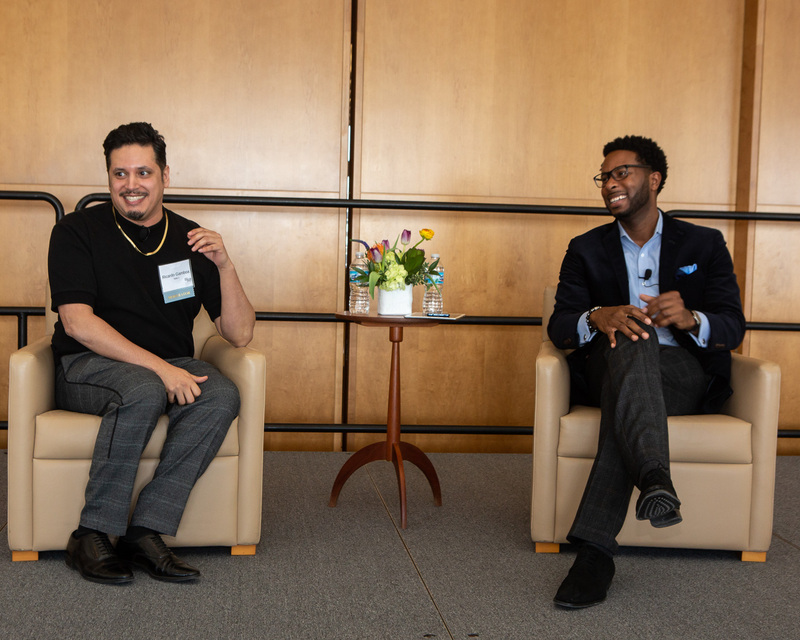 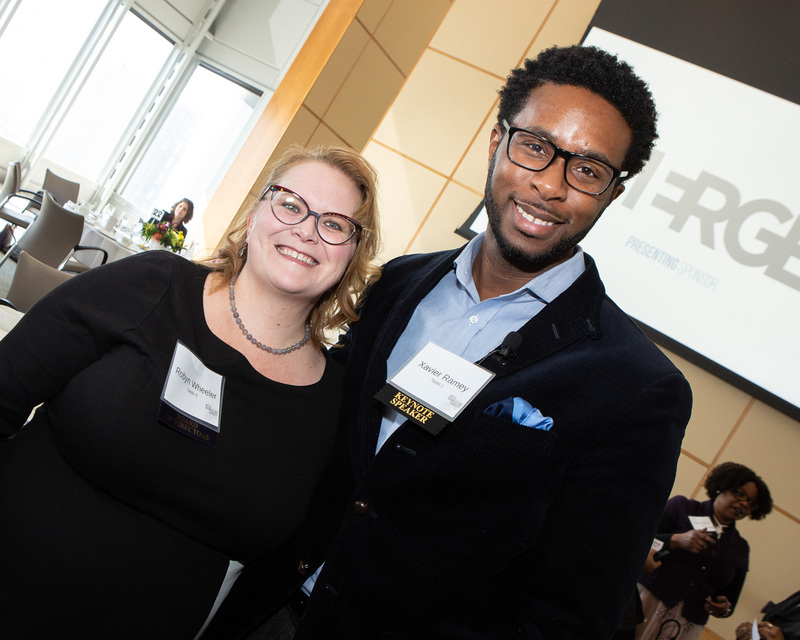 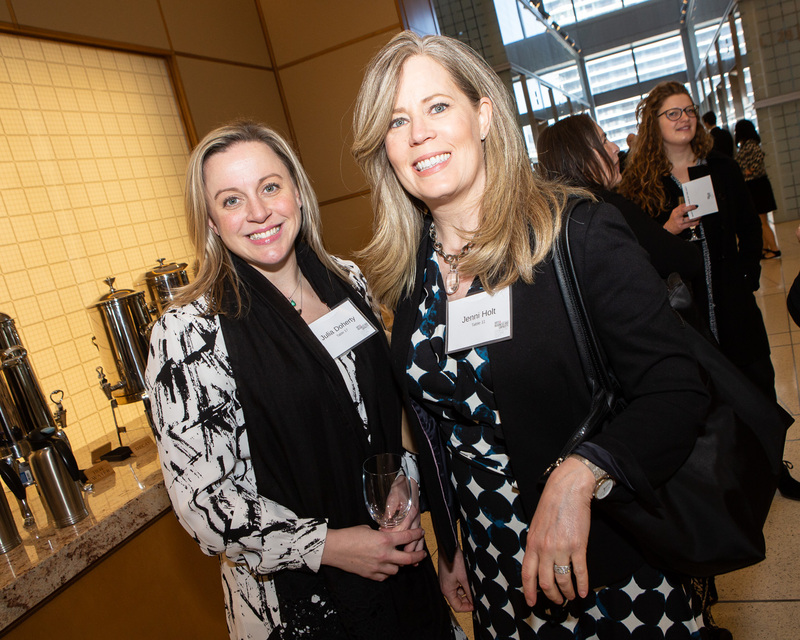 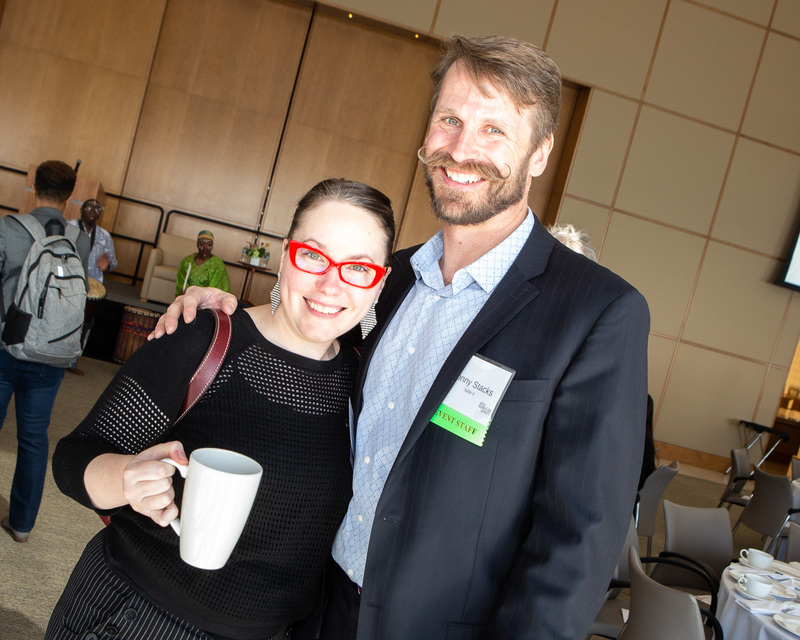 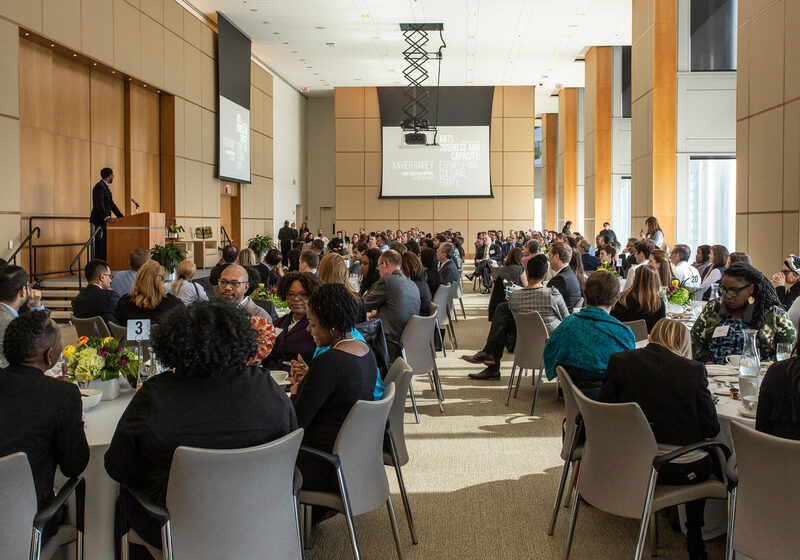 The event, held at Blue Cross-Blue Shield Tower, served as the Arts & Business Council of Chicago’s third annual luncheon and featured a keynote address from Xavier Ramey, chief executive officer of Justice Informed. Guests were challenged to reflect on the definition and need for racial equity through: performances by Chicago Solisti, Ayodele Drum & Dance, and Sherwen Moore; images courtesy of Chicago Public Art Group; a discussion with Ramey, moderated by Ricardo Gambo; and a creative activity, facilitated and performed by Yvonne Orr-El. 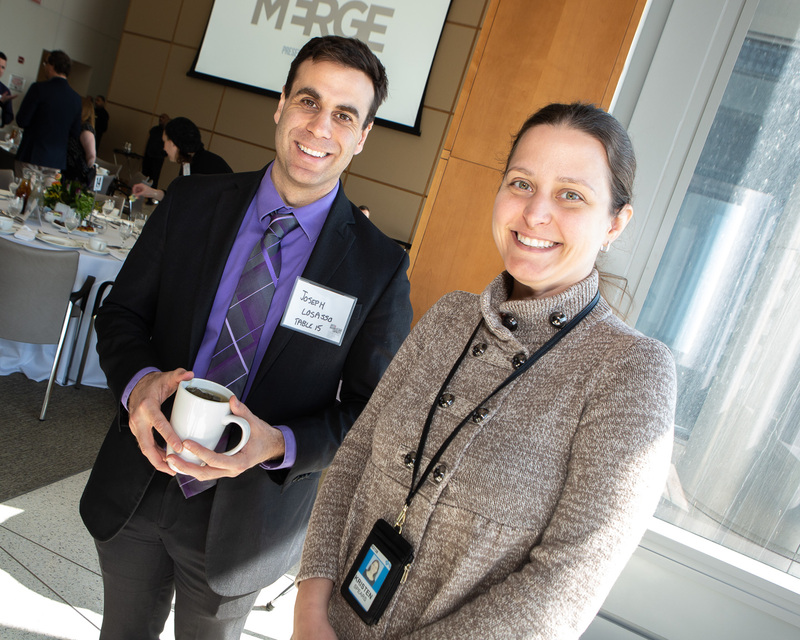 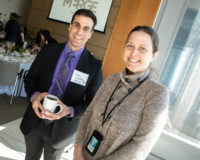 Providing an introduction to the conversation were Health Care Service Corporation’s Joel Farran, A&BC board chair, and Kristin Larsen, A&BC executive director. 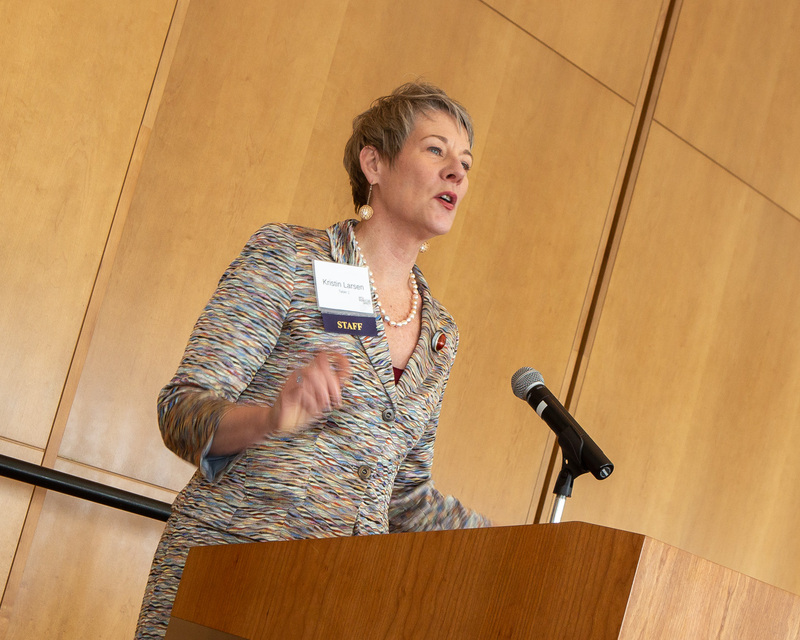 Willis Towers Watson’s Robyn Wheeler, A&BC vice chair, delivered closing remarks and a final call to action. In attendance were Harvard Business School Club of Chicago President Stephen Wasco; Joyce Foundation Culture Program Director Tracie Hall; Ayesha Jaco, artist and West Side United senior program officer; Daniel Cervantes, vice president of finance and administration at Skills for Chicagoland’s Future; City of Chicago DCASE Commissioner Mark Kelly; Joan Gunzberg, former A&BC executive director; and Alphawood Foundation Chicago Executive Director James McDonough. Arts & Business and Capacity: Exemplifying Cultural Equity was made possible through the generosity and lead sponsorship of Blue Cross-Blue Shield of Illinois, MERGE, Segal Consulting, Aon Hewitt, Goodman Theatre, Willis Towers Watson, Boston Consulting Group, Joffrey Ballet, and Elkay Manufacturing. 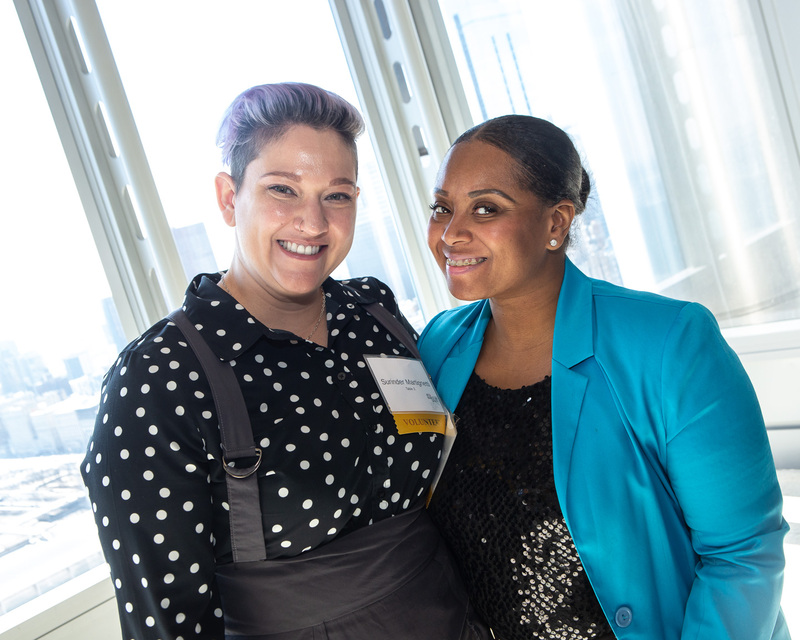 Proceeds from the gathering will support A&BC’s goal of reaching all 77 of Chicago’s community areas by 2020.